SOTD . SATURDAY 21st JULY - FRIDAY 27th JULY 2018. Kai Captain Titan Mild (11). I also get this on occasion with creams, Dave. What I have found is that, even though the lather looks good, it needs a little more water and elbow grease with the brush to "release" the slickness. Thanks, Tom. Had another shave with all the same gear, this time I really went for it bowl lathering the cream & added more water, and it was perfectly slick this time, thus a much better shave. I guess I'm still learning the nuances of different creams. Pretty much identical to yesterday’s shave, other than today I didn’t use the Nuage shave oil. I’d love to say I was being experimental but I wasn’t....I forgot (I had lathered up when I saw the little bottle staring at me all sad faced asking “what about me?”). I think I was being a big kid and was too excited to slap on the TOBS! Pressed on and did notice the blade didn’t glide as smooth over my skin. Certainly as I stroked over the skin on 2nd strokes it was very dry. 3 passes and all is good. I have identified a problem area at my lower right neck which is where is suffered razor bumps when I used cartridges. I’ll work on that tomorrow. Overall I’m happy again today. Learning points - use a pre-shave oil (or rather don’t forget!!! ), work on problem area on my neck. Good to hear, @dave79. As you mention, there are subtle nuances to lathering of individual creams and soaps, with some being trickier than others. Lots of good advice on the Forum. The Search function is your friend, or just ask . The Black Hawk is a very light razor....and even with the SuperPro blade....I needed a full 3 passes to achieve the desired result. I love the Pitralon classic which @Boru62 directed me towards a few weeks ago. It's back on offer so another couple of bottles are en route! Smooth as you like and cool as a cucumber. However we are celebrating our 37th wedding annivsersary today. 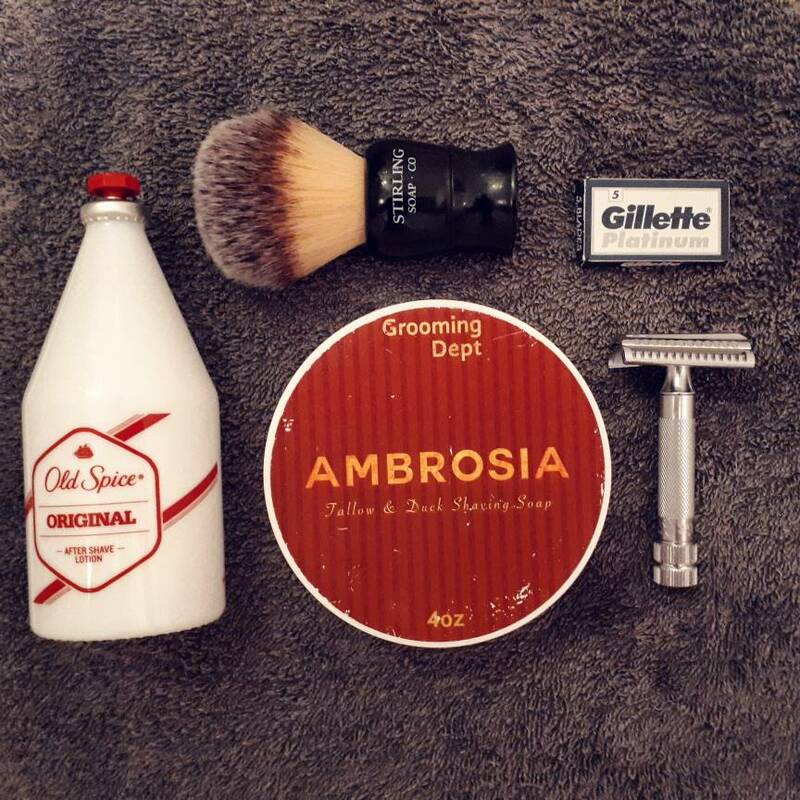 An excellent and refreshing shave. Pre-shave: Cool shower, face wash; Musgo Real Classic Glycerin Oil Soap and cold water splash. Cream: OSP Menthol and Eucalyptus. Brush: Simpsons Duke 2 Pure Badger. Blade: Astra SP (Day ?). Post: Cold water splash, followed by a healthy splash of Myrsol After Shave Balsamic Water. 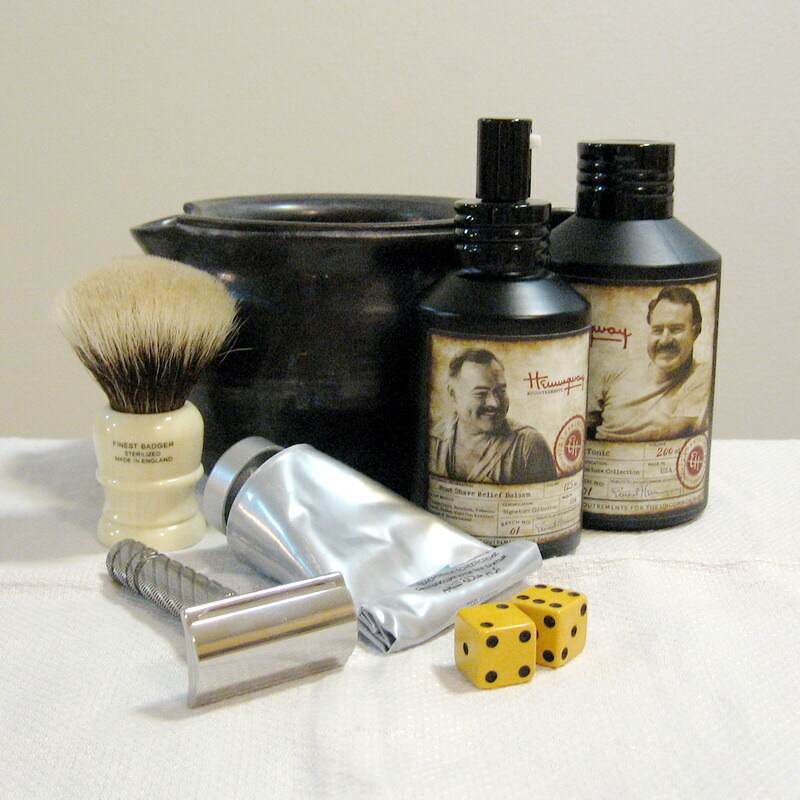 Wednesday's shave with the Fitip Grande was so good, there was not much in the way of stubble to be shifted this morning. My Rex Ambassador was loaded; not sure how old the blade was (not more than 2 or 3 shaves) - went for a single pass WTG. A very good DFS finish. When on holiday in Croatia, I bought some Rosemary Water from the world's oldest pharmacy in Dubrovnik, which had excellent healing and skin refreshing properties. Given its rosemary base, I decided to go for Myrsol post shave. As ever, great sensation on the skin post shave and a lovely scent. Finally a few skoots of D.R Harris Windsor Eau de Toilette. I have used the OSP Menthol and Eucalyptus soap before. The cream arrived last week, which I am most impressed with. A most welcome addition to my den: very cooling - face felt frozen, in a good way. 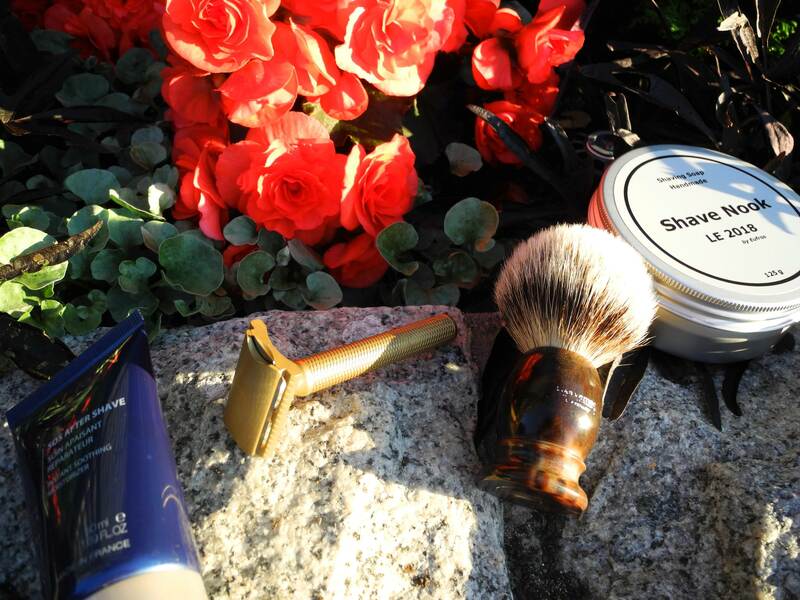 A very enjoyable shave today; a great start to the day. We lost an exceptional colleague at work recently and today was her memorial service. In a weird way I felt the shave set me up for the day. I have it on loan and it's only my third shave with it. I like it, pretty smooth and efficient. It struggles a bit with the grey wirey stubble but that's probably the weight, although with the Feather Super this issue was negated. Given how hot it is today a cold water shave was called for..
Club Cola soap with its citrusy, zesty scent was an obvious choice. I find that when loading with a cold brush soaps don't (seem) to have loaded well, but while face latherIng it behaves the same as with warm water or even better. My shave was followed by a long cold water rinse that felt like heaven in this heat. Finished with Paul Smith Men Aftershave . . , . Very light and summery, and leaves my skin feeling supple and hydrated. Followed the vibe and went into the deep end with an F plate, but glad as this is a fantastic razor. Needed to pay attention like a large straight but the results are superb - super smooth close shave . . . impressive. I am generally pleased with the performance of the General, I still have not got it right when clearing up around the neck. In that area I get much better results with a heavier Razor.